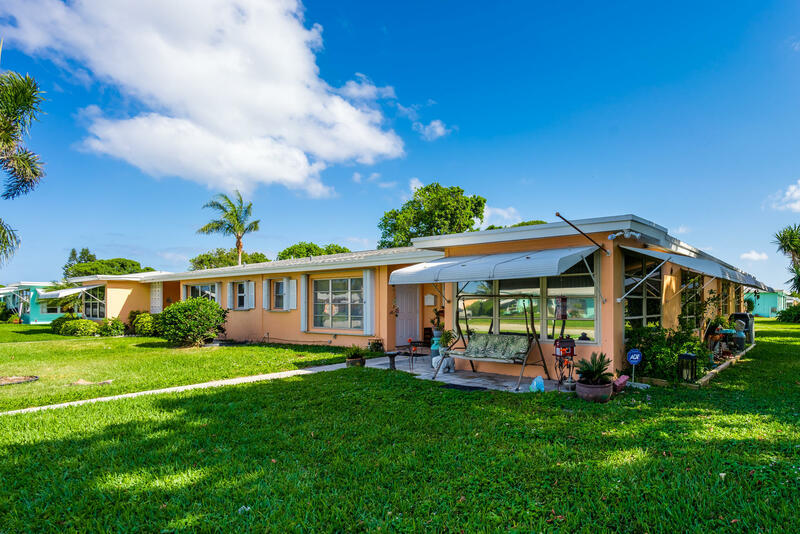 Beautiful bright & spacious, private, 2BR/2BA + Den, end unit villa with many updates, surrounded by a park-like garden setting, located in the High Point community of Boynton Beach. This desirable home is bathed in natural light and has an open floorplan, tiled flooring laid on the diagonal throughout, crown molding, huge windows, surround sound, updated gourmet kitchen with newer appliances, tiffany light fixture & white cabinets, built-in desk & shelving in the den, a large master suite with a big walk-in closet and updated bath, a murphy bed in the guest room, and an expansive patio with a retractable electric awning with plenty of wildlife around. 2016 exterior paint & garbage disposal, 2015 electrical panel, wiring, roof, water heater, kitchen appliances, and plumbing in master bath.